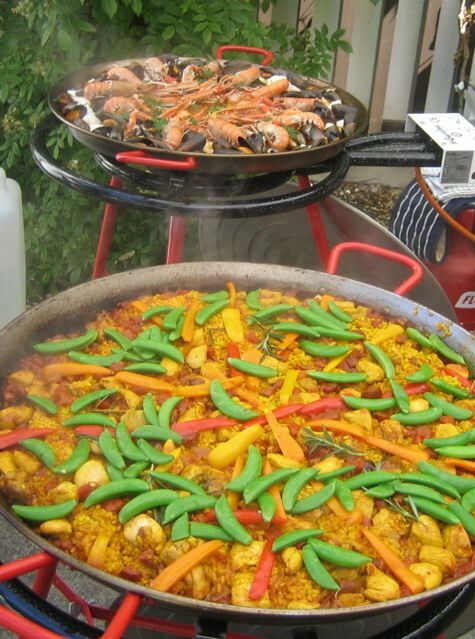 Welcome to East Lothian Portable Paella - throughout the Lothians and Borders. 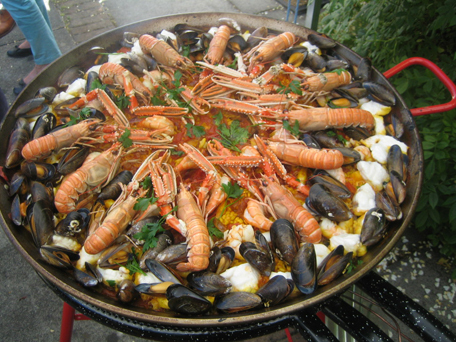 Paella is an incredible centre piece for your event or party. It is theatre and tastes fantastic. Wonderful food cooked for guests in your garden or other venue. Currently I cater for groups of up to 80 people, all I need is a little outdoor space to set up. You may want luxury seafood paella made with monkfish, clams, mussels, squid and langoustines or perhaps a spicy chicken and chorizo – I can cook everything to suit your taste and budget. Paella is all about the rice so I use ingredients sourced from Spain, specially prepared spice mixtures and stocks to ensure a full flavour. I cater for groups of up to about 100 people, all I need is a little outdoor space to set up. I can cook for groups of at least 12 subject to a minimum charge of £200. My paellas are typically served with a tomato salad and crusty bread from our village deli. 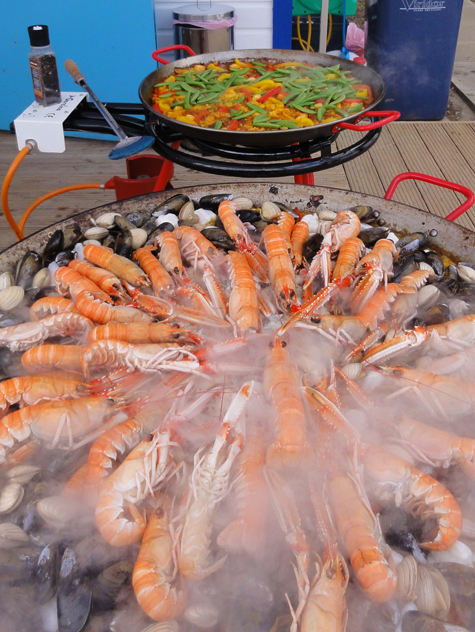 As a price guide 'main course' paellas start at £8.20 per person while seafood ranges from £11.20 to over £15. I provide a quote individually prepared for you so please get in touch for details of what I can offer. 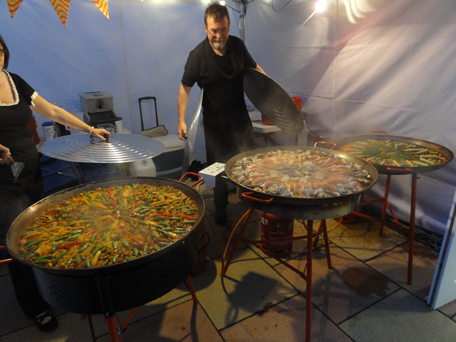 East Lothian Portable Paella is a registered food business, fully insured and holds a food hygiene certificate. Eastlothianportablepaella.co.uk© 2016 All Rights Reserved.